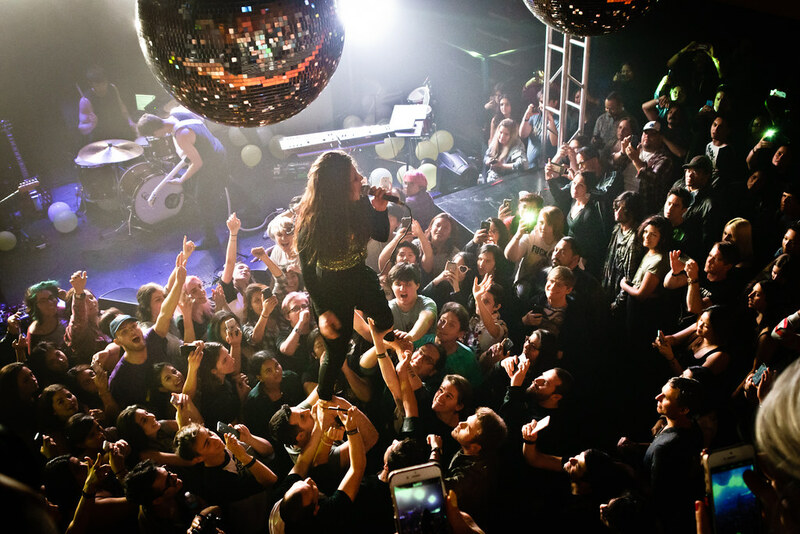 In April, in what was supposed to be two straight nights of shows at the famed Troubadour, Kitten's Chloe Chaidez struggled through night one, barely able to to sing with what was later diagnosed as having nodules on her vocal cords. She postponed night two to get some much needed rest. Flash forward earlier this month, when Kitten returned with a vengeance for their sold-out, make-up show that lasted two hours and saw Chloe doing her usual Kitten-esque thing; climbing rafters, serenading and pulling fans onstage to dance with and topping it off the night with a crowd-walk inside the sold-out Troubadour. 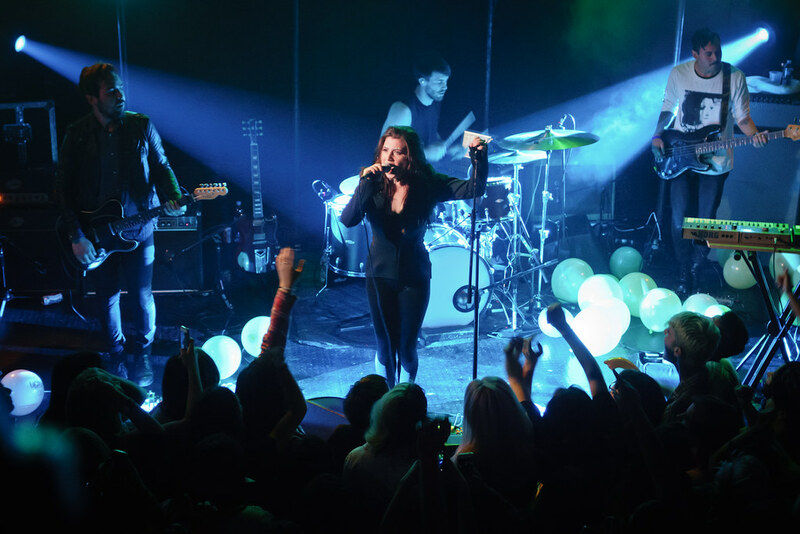 Definitely one of her best shows and cemented her electrifying stage presence that got her to tour and share the stage with almost every cool and influential band out there - Paramore, Charli XCX, Garbage, No Doubt and Courtney Love. 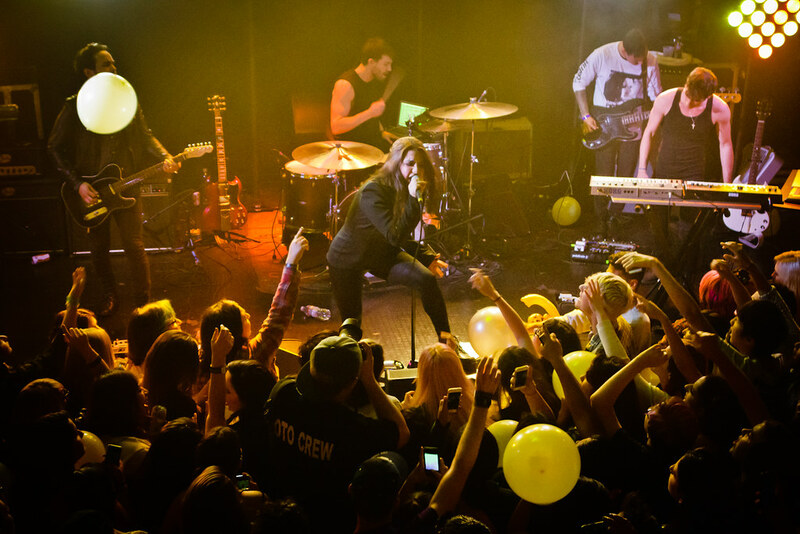 KITTEN performs to a sold-out crowd at The Troubadour.